Excel VBA-based tool to import the content of a Staad (.STD) file into SCIA Engineer. Macros need to be enabled for this tool to work. 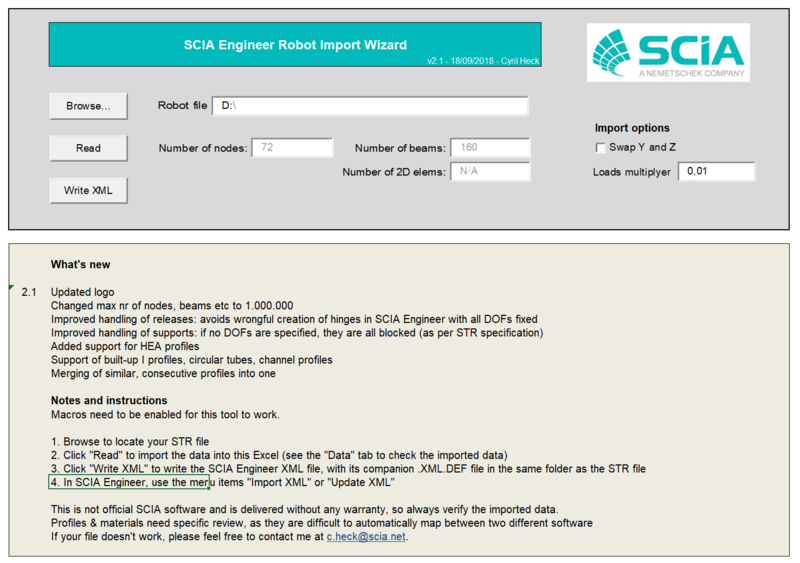 In SCIA Engineer, use the menu items "Import XML" or "Update XML"
This is not official SCIA software and is delivered without any warranty, so always verify the imported data. If your file doesn't work, please feel free to contact me at c.heck@scia.net.